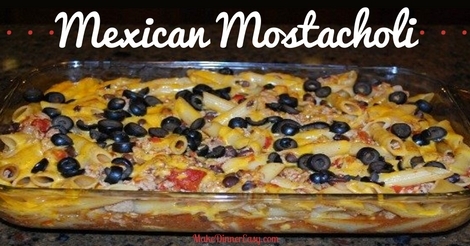 Mexican Mostacholi combines healthy ground turkey and black beans with Mexican spices, penne pasta, and cheddar cheese for a new type of dinner casserole. 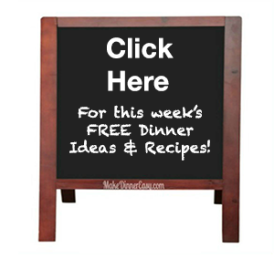 If you are looking for a ground turkey recipe or black bean recipes, this fits the bill. Not only that, but my family loved it! Cook pasta as directed. Meanwhile, saute the onions and garlic in olive oil in a large non-stick skillet. Add the ground turkey and brown the meat. Use two spoons to separate the turkey into small chunks as it browns. Add the undrained diced tomatoes, the seasonings and the drained black beans. Simmer for 1-2 minutes. Combine the drained penne pasta, the turkey and tomato mixture and 3/4 cup of the shredded cheddar cheese and pour the combined mixture into a 9"x13"x2" baking pan. Sprinkle the remaining shredded cheese on top along with the drained sliced black olives. Cover with foil and bake at 350'F for 20 minutes. Uncover and bake an additional 5 minutes. Serves 8 and leftovers are great for lunch. 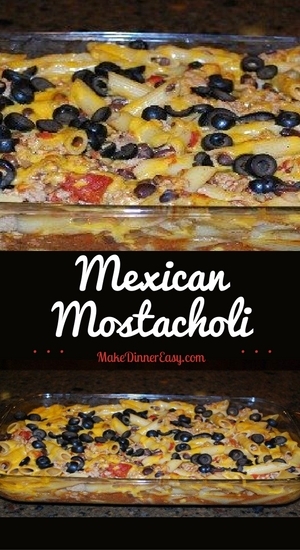 This recipe can also be cut in half and baked in a smaller pan.